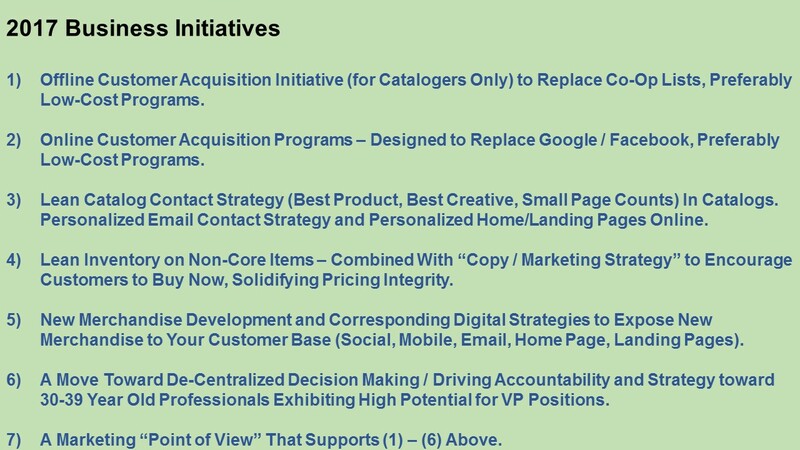 If I were rebuilding a catalog business (starting in 2017), here are the seven initiatives I'd roll out to my staff. 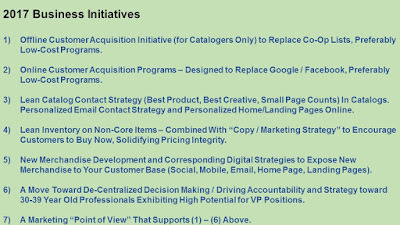 As CEO, I'd align every functional area across the seven business initiatives. 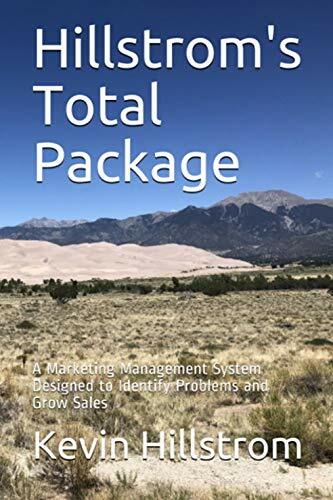 The marketing "point of view" is critically important, but might take 1-3 years to properly implement, whereas (1) and (2) can be implemented within 18 months, (3) and (4) can be implemented within 6 months, (5) can be implemented within 24 months, and (6) can be implemented immediately. The time frames are different, but all the concepts interact with each other. Contact me (kevinh@minethatdata.com) if you have questions about how the structure applies to your business.